The AFNC Gym is open for use by players, Club members / sponsors and members of the community. 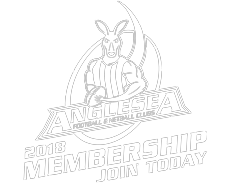 Football and netball players over 18 years of age, gym membership is included in your club membership. ***Please register as Adult, Misc Member Type. Get copy of “Gym Conditions of Use & Guidelines” and “Gym Application Forms”. Available at Club. Arrange a gym induction session with Nicky Friel (0403-779 084). A fee will apply. Player inductions will be done in-house. After induction, complete the rest of the Gym Application Form and return to Jamie Mackenzie or Paula Fowler with $20 fee for swipe card and Gym Membership Fee (if not already paid). Gym membership swipe card will then be allocated & activated. Saturday game days between 10:00am and 7:00pm. Tuesday and Thursdays in football season between 5:30pm and 8:00pm. When booked private fitness sessions are in progress.